Enjoy the top 3 famous quotes, sayings and quotations by Betsy Cook Speer. “I recalled thinking ... His freakishly tidy side could be a problem. “It felt like an eternity before he gingerly lifted himself from the table and staggered backwards. Glass shards protruded from chest to groin. The guy looked like a bloody porcupine. A cute, tall bloody porcupine. I'm tall too. Five foot ten. But he had at least four inches on me, even with my thick-heeled boots. "What's your name?" he slurred. While visions of reckless homicide charges danced in my head, I contemplated using an alias. Finally, I said my real name, "Sam." “If and when I found him and he hadn't got his danger fix, he'd be way more than just disgruntled. More like royally ticked off. Not the best time to share my recent revelation. One that shocked the heck out of me. One I wasn't sure how to phrase. "Jake, you're the love of my life." "I want to spend the rest of my life with you." 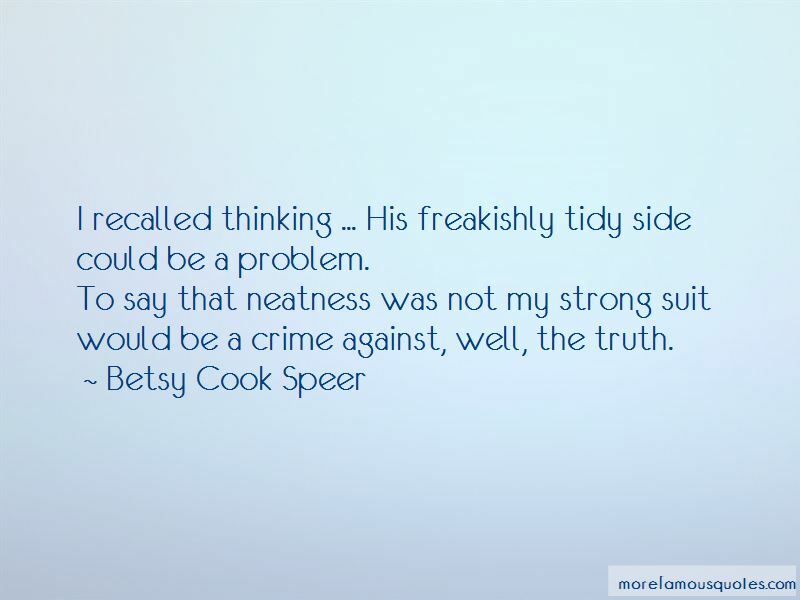 Want to see more pictures of Betsy Cook Speer quotes? 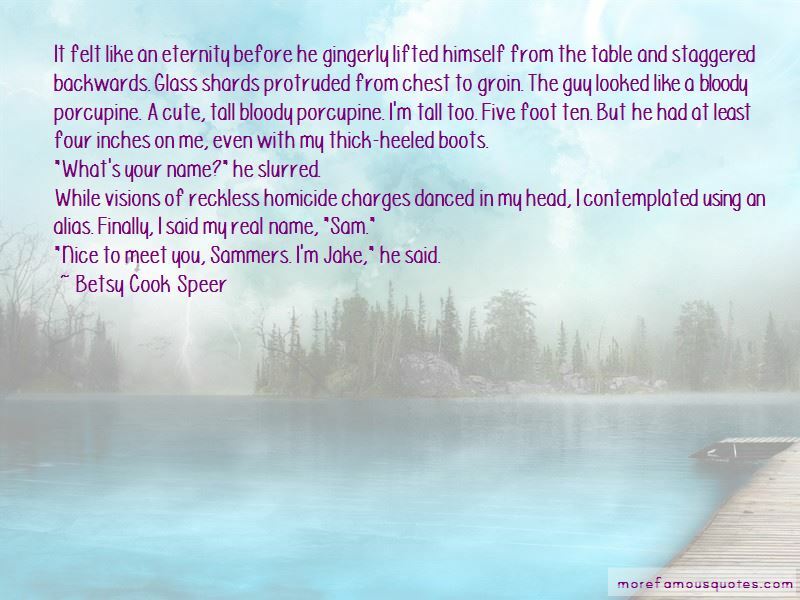 Click on image of Betsy Cook Speer quotes to view full size.